Looking for a bulletproof soup that’s quick and easy to make? One that has depth of flavor but doesn’t take all day to create? This Easy Chicken Salsa and Corn Soup can be put together and on the table in 45 minutes. It’s the perfect go-to on a busy weeknight when you want something hearty and delicious. Even better – leftovers for tomorrow’s lunch. If you have boneless chicken breasts, thighs or tenders, then you’re on your way. Is there a jar of salsa in the cupboard? A carton of chicken broth or stock? A can of corn? I bet you have onions and garlic – you better! Excellent! Pull out your soup pot and start chopping. 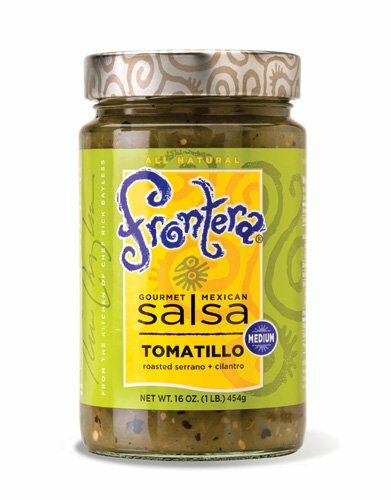 I like the flavor of a salsa verde (green salsa) for this soup and recommend either Frontera Tomatillo Salsa or Arriba! Fire Roasted Mexican Green Salsa. But you could easily substitute your favorite tomato-based salsa and have excellent results.